Fractora ‘Designer Dermis’ technology is a first of its kind bipolar radiofrequency skin resurfacing treatment that uses variable settings to facilitate customized heat and treatment depth for each patient. It is safe for use on multiple areas of the body, including the neck, face, chest and sensitive areas like the upper and lower eyelid. Many people are choosing radiofrequency skin resurfacing as an alternative to other cosmetic treatments, such as dermal fillers because the treatment is capable of boosting collagen production and filling in lines and wrinkles, as well as improving overall skin tone, texture, and clarity. How does Fractora compare to other types of skin rejuvenation treatments? Compared to CO2 laser resurfacing, Fractora goes above and beyond expectations, achieving the equal or better results with far less downtime, post-treatment redness, and other side effects. Furthermore, Fractora is safe for use on nearly all types of skin and most areas of the body, including the neck, face, and hands. In comparison to other non-invasive treatments like Thermage and Ulthera, patients tend to enjoy much faster results. Whereas Thermage and Ulthera require months to achieve maximum results, most people who undergo Fractora treatments see significant improvements within two weeks. What should I expect from a Fractora treatment? Fractora is an in-office procedure that takes between 45 minutes and 2 hours to complete depending on the type and size of the treatment area. Prior to treatment, the skin is numbed with a topical anesthetic. As the Fractora tip is passed over the skin, it is normal to feel the warmth. However, most patients find treatments highly tolerable. Will I need to recover from a Fractora treatment? 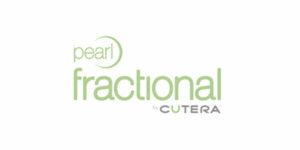 Fractora is non-invasive and requires far less downtime than CO2 skin resurfacing. Expect to have some redness and swelling immediately following treatment, though this will subside within a few days. In most cases, a patient can wear make-up again in as little as one or two days after treatment. There are very few post-procedural instructions for Fractora patients though you will need to avoid excessive sun exposure after treatment.